A copper alloy Roman barbarous radiate of an uncertain ruler, dating to AD 275-285 (Reece period 14). Uncertain reverse type and mint. 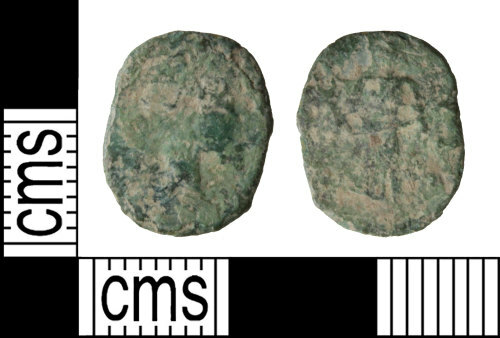 A copper-alloy Roman barbarous radiate of an uncertain ruler dating to the period AD 275-285 (Reece period 14). Uncertain reverse type and mint. A copper-alloy Roman barbarous radiate of an uncertain ruler, dating to the period AD 275-285 (Reece period 14). Uncertain reverse type and mint. A copper-alloy barbarous Roman radiate of an uncertain ruler, dating to the period AD 275-285 (Reece period 14). Uncertain reverse type and mint.